Publishing professional Ulyssis Javier first found it difficult to deal with his one-bedroom condo on the 25th floor of a residential building. However, with the help of his friend, creative director Ateng Azcueta, he was able to create a simple yet inviting bachelor pad. For homeowners that also face the problem of furnishing a small space on a limited budget, here are 7 furniture and decor worth investing in. 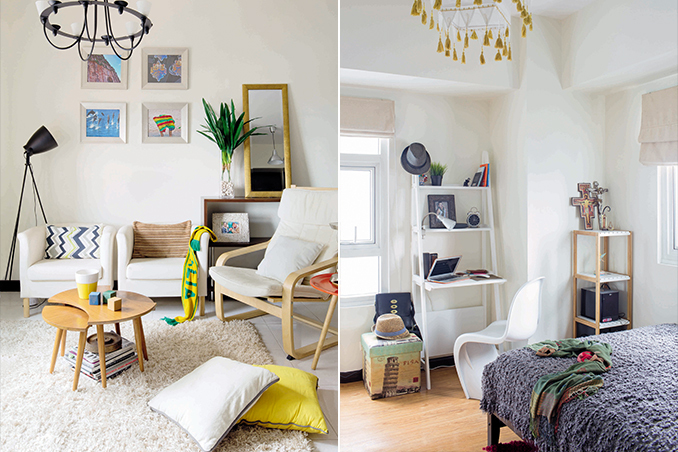 Read the original article ("Friendly Space") in the June 2014 issue of Real Living Magazine. Download your digital copy of Real Living on the Real Living App now! Log on to summitnewsstand.com.ph/real-living for more details.